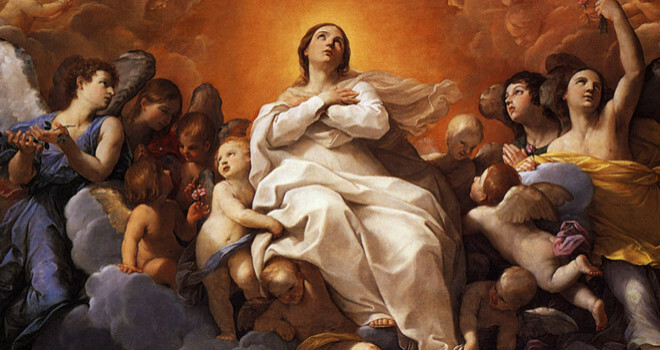 Today is the Solemnity of the Assumption of the Blessed Virgin Mary. This important feast commemorates two events – the departure of Mary from this life and the assumption of her body into heaven. 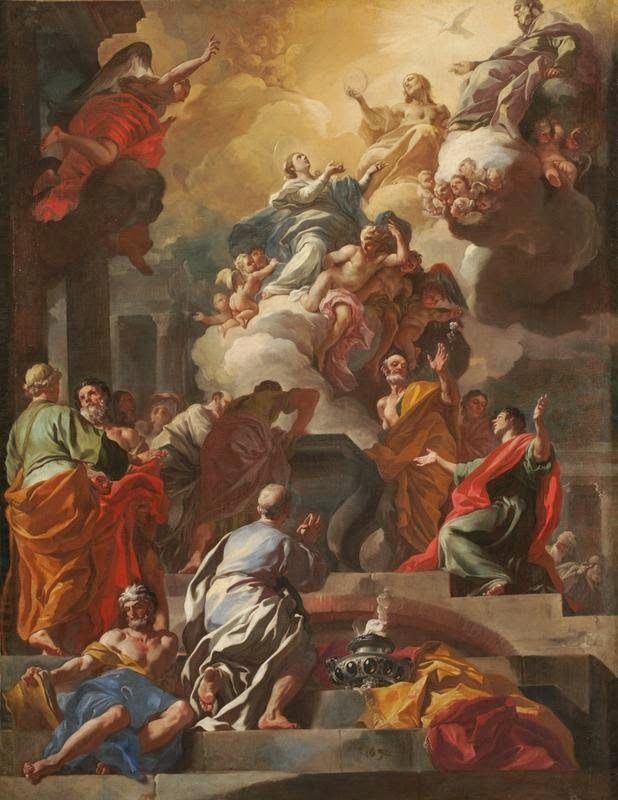 The dogma of the Assumption of Mary – also called the “Dormition of Mary” in the Eastern Churches – has its roots in the early centuries of the Church. The Catholic Church teaches that when Mary ended her earthly life, God assumed her, body and soul into heaven. As with all that we believe about Mary, the teaching of the Assumption really comes down to what we believe about Jesus. Jesus’ incarnation and resurrection both show us that God seeks us out, makes us holy, and will raise us from the dead as whole human persons—body and soul together. Just as we were created with a soul united to a body, so we will be saved in both soul and body. Though our souls separate from our bodies when we die, our souls will be reunited with our glorified bodies at the end of time when we are resurrected from the dead. Mary’s Assumption into heaven is simply the precursor to this reality. In this, and in all things, she goes before us in faith. On this feast of the Assumption, may we follow Mary’s example by reflecting God’s holiness in body and soul! From this earth, over which I tread as a pilgrim, I look to you for help. I ask for this favor (mention your request). When my hour of death has come, lead me safely to the presence of Jesus to enjoy the vision of my God for all eternity together with you. Amen.